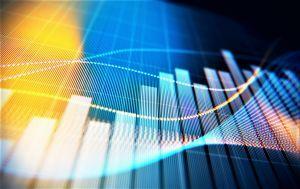 On Monday, the crypto sentiment in the top 10 coins by market capitalization rose a little compared to last week, back to the levels it registered two weeks ago. 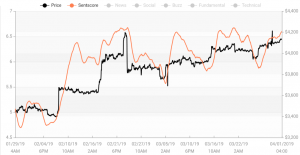 According to Predicoin, a crypto market sentiment analysis service, the current average sentiment score is 5.66, up from last week’s 5.5. The differences from week to week are not the same across the list, however. 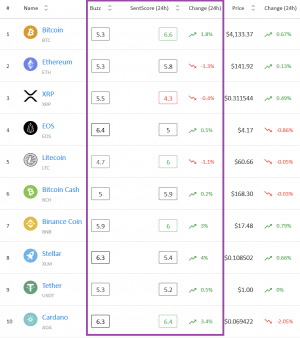 While Bitcoin, Ethereum, Bitcoin Cash, Binance Coin, Stellar, and Cardano improved their respective scores, Tether and EOS dropped, while Litecoin and XRP remain the same as last week. Over the course of the week, the biggest upward improvement was by EOS with 5.7%, followed by Binance Coin which improved by 5.3%. EOS owes its success to its technical side, with a score of 7, while its weakest link is buzz at 4.2 and news at 4.3. Binance Coin, meanwhile, can thank news with a score of 7.3, but its fundamentals are in the negative range with 3.7. As for drops, Tether went down by 2.7%, while others are almost unchanged. Tether has a strong news sentiment at 8.1, but its technical side is rated at 3.2, which brings the whole score down quite a bit. Over the past 24 hours, only three coins seem to be dropping in score: Ethereum, XRP, and Litecoin. This could spell further trouble for XRP, as its highest score since at least the beginning of February was 4.7 on February 24th. As for the coins outside the top 10 list, Nano joins the positive list behind Bitcoin and Cardano with a score of 6.2. Interestingly, out of the 30 coins (which are the only ones currently tracked by Predicoin), XRP still remains the only one below the negative zone border. 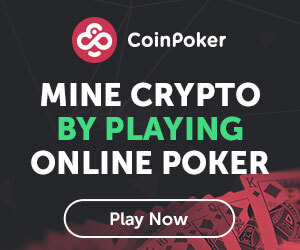 The only other coins below a score of 5 are IOTA and OmiseGO. Tezos has a very high buzz and news score, but social sentiment is still neutral, and its total score stands at 5.9 - barely below the positive range.